Like all newborn babies, Little Ricky is cranky. The result, sleepless nights not only for Lucy and Ricky, but also for other tenants of the Mertz apartment building, most notably the elderly Mrs. Trumbull. She reads from the lease: "it is expressly understood that at no time will children be allowed to live in said building." Lucy and Ethel's attempts to humor the neighbor fail, and the conversation ends with Mrs. Trumbull warning Mrs. Mertz that she and other tenants may move out. Ethel takes an uncharacteristic firm stand: "My friendship with the Ricardos means more to me than all the money on earth." At first, Lucy and Ricky deeply appreciate the Mertzes' loyalty, until it becomes painfully clear Ethel won't let them forget her generosity. She repeats her "friendship-with-the-Ricardos" story ad nauseam to anyone who will listen until Lucy is forced to crack: "That speech has had more performances than South Pacific!" This leads to a giant battle during which Little Ricky is left unattended in the apartment. Realizing their stupidity, the foursome race back to the Ricardos', only to discover a not-so-crabby Mrs. Trumbull holding the infant in her arms. 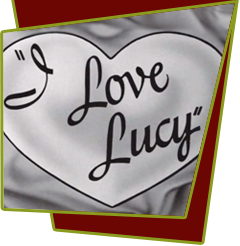 Special Notes: This was the first episode filmed since November 14, 1952, allowing Lucille Ball four months in which to prepare for and rest up from the birth of her baby. This was Elizabeth Patterson's first appearance as Mrs. Mathilda Trumbull. Bloopers: Note the mistake Vivian Vance makes when, after the clubwomen arrive to play bridge, she makes the reference to "old Mrs. Trimble who lives upstairs," not Mrs. Trumbull but according to The Lucy book, the original script calls her "Trimble". In "Vacation from Marriage" and several other episodes, it is clearly established the Ricardos' first apartment in the building (before they move in the middle of the third season) is on the fourth and top floor (with the roof above). Yet now, Mrs. Trumbull lives directly over them on the fifth floor.